Almost everyone believes in luck in one fashion or another. As kids, we wear lucky socks for good luck in sports or use our lucky pencils on tests. As young adults, we request that our friends wish us good luck before a big test or challenge. Even as adults, we might hold on to a lucky rabbits foot, coin, or charm for those hard days when we feel we need everything on our side. 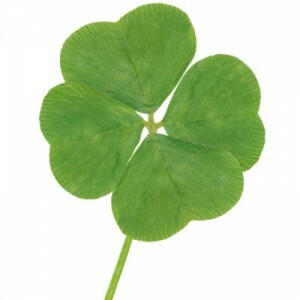 In our own lives, it is easy to equate certain successes to luck. When looking at complex interactions with multiple parties and causes, luck serves as an easy explanation. How would you explain finding the perfect job, winning a big contract, or meeting that ideal mentor without mentioning luck as a contributor? Clearly, random occurrences or being at the right place at the right time plays a role in our success. However, luck has more to do with belief and action than mystical forces. Many “lucky” people talk about how they found certain opportunities by accident. The key to finding opportunities starts with keeping your eyes open. When networking, reading articles, or surfing the web, look at what other people are doing, what has been successful, and how things could be improved. When opportunities occur, take a chance and see what happens. If you do not apply for the job, make the presentation, or ask the client, then you know success will not happen for sure. Lucky people realize that sometimes you will win and sometimes you will lose, but you always lose if you do not try. A number of research studies found that people with lucky think differently than those that are unlucky. In other words, if I believe in what I am doing, and myself I will be more lucky. No matter what happens keep going and keep your head up. How will you be lucky today? This entry was posted in Development, Workforce and tagged luck, lucky, success. Bookmark the permalink.